Cells communicate with each other and with the environment using tiny antennae, called cilia, that emit and receive signals, including sound, smell and light information. Some of these antennae can also move, and are altered in several diseases leading to infertility, loss of vision, obesity, and other symptoms. Interestingly, some patients may have all of these symptoms, while others may have only one type of defect. 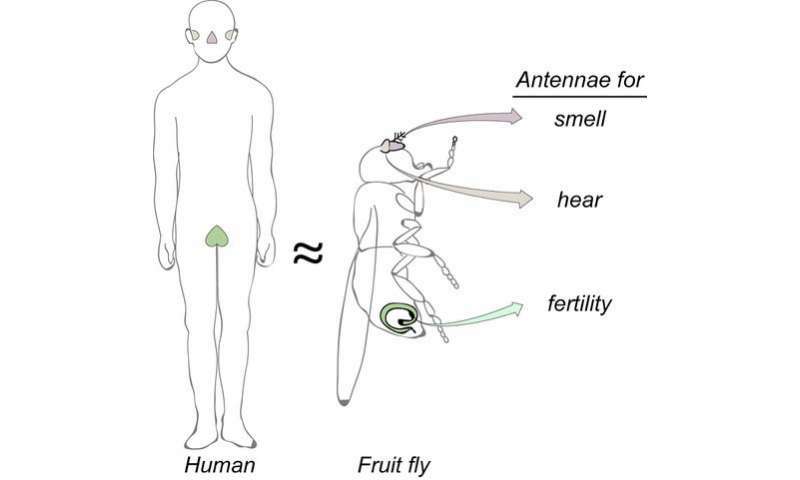 It has not been well understood how cells can make antennae with such different functions. A team from the Gulbenkian Institute of Science has now discovered that the foundations of these antennae are diverse, contributing to the assembly of antennae with such different functions. This study, now published in Nature Cell Biology, will help physicians better understand diseases that involve antennae, called ciliopathies. The researchers have found that while cells use many of the same building materials as they lay the foundations for their antennae, they are very creative, using them in different proportions and at different sites, at different stages of construction, thus creating the structurally distinct functions. "An interesting consequence of our finding is that it can explain a mystery related to genetic diseases associated with cilia. These diseases usually affect only some antennae, not all. You can be blind without being infertile. You can be infertile without being obese. Our observation that many components important to the construction of cilia foundations are present in different proportions and different moments in space and time, only in some tissues and not in others, explains how their mutations, which occur in genetic diseases, will only show some of the symptoms, solving the mystery," said Mónica Bettencourt-Dias, study coordinator. The researchers used highly advanced imaging techniques such as electronic tomography and super-resolution microscopy to view antennae that are 100 times smaller than the diameter of a hair, thus revealing their diversity in structure and components. "As all the foundations of the cilia begin with a similar structure, we were surprised to see that they eventually become so diverse in different cells within an organism," said Swadhin C. Jana, the investigator who led the study.